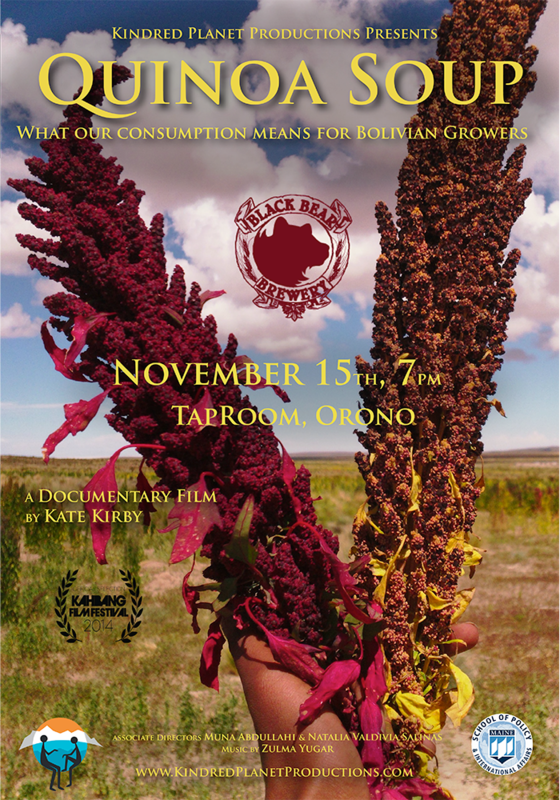 This Saturday, November 15th at 7pm stop in to view our own Kate Kirby's documentary, Quinoa Soup. A colorful and controversial story, Quinoa Soup provides a rare look into the daily lives of Cecilia and Leocadio, a quinoa-farming couple of the indigenous Quechua and Aymara nations. She will also be showing an 11-minute sneak peek of Elephant Keeper, and a 10 minute behind the scenes video of the making of Quinoa Soup. The whole program will be about an hour unless people have a lot of questions after the presentation and donations are suggested. 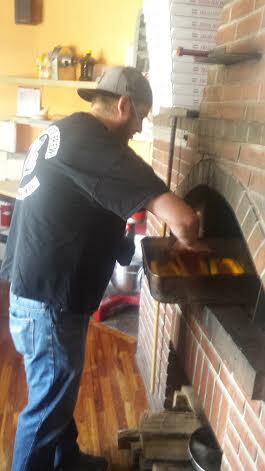 Long Pumpkin Stout Coming Soon! 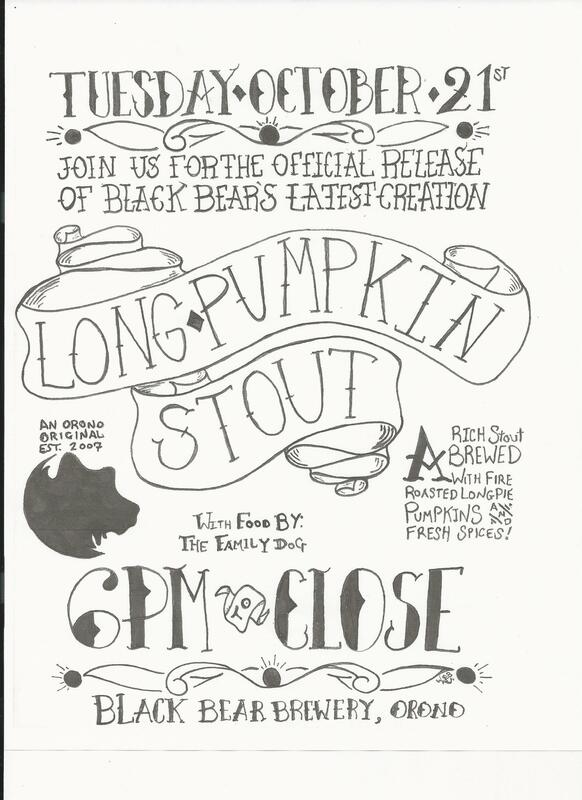 Long Pumpkin Stout is coming soon! 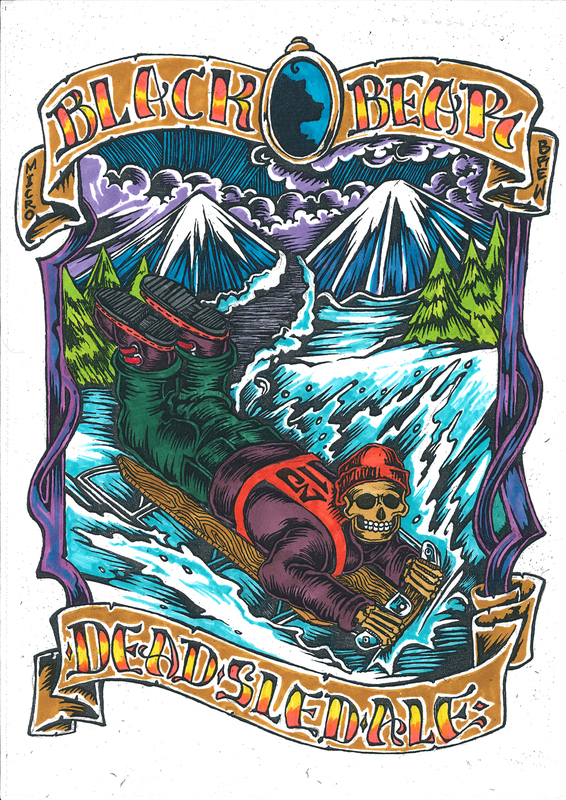 This is a collaboration with both Peacemeal Farms and the Bear Brew Pub. We love to get a chance to work with our local community! 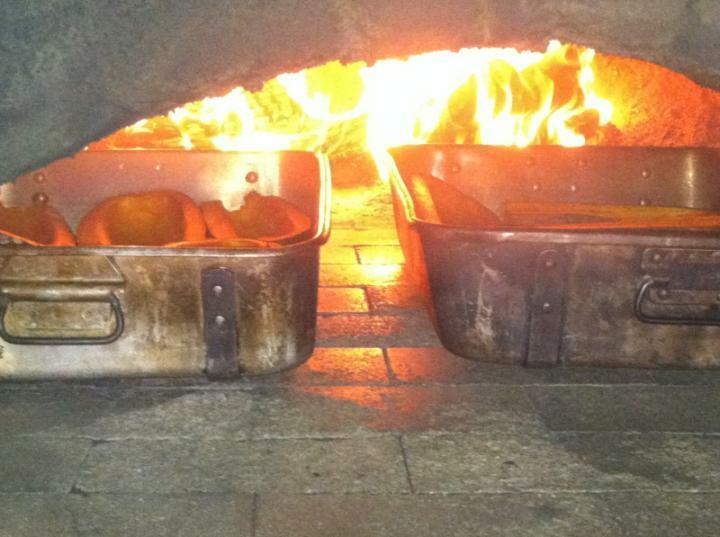 The Bear Brew Pub (Orono) Cooked 15 Organic Long Pumpkins from Peacemeal Farms in their wood fired brick oven. 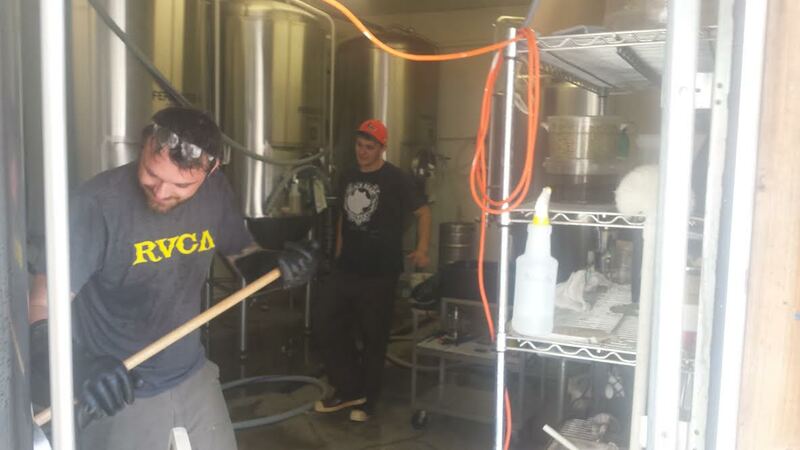 They were then used in the mash of the Pumpkin stout by Head Brewer Matt York (back ground) and assistent brewer Walter Beckwith (front). In the Brewing process, a reserved addition of fresh pumpkin pie spices, with the smokey, flavorful, wood roasted long pie pumpkins and caramelized brown sugar in a great 7%, roasty stout recipe will be a great combo of flavors. Look for it's release in a few weeks at the Brewery! 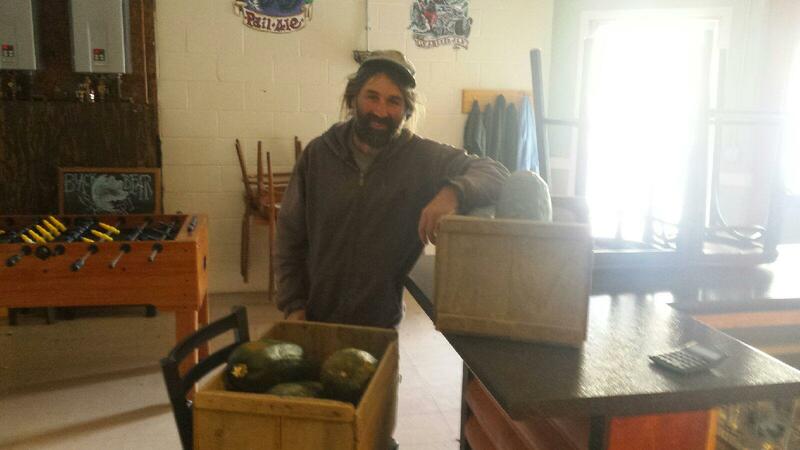 Here's Mark from Peacemeal Farms delivering two bushes of long pumpkins. We had to wait for the pumpkins to ripen and produce the most sugar possible so we can roast and scoop organic long pumpkins into the mash of our Long Pumpkin Stout. We're looking forward to serving this beer through Halloween and Thanksgiving as it's the perfect beer for late fall meals. 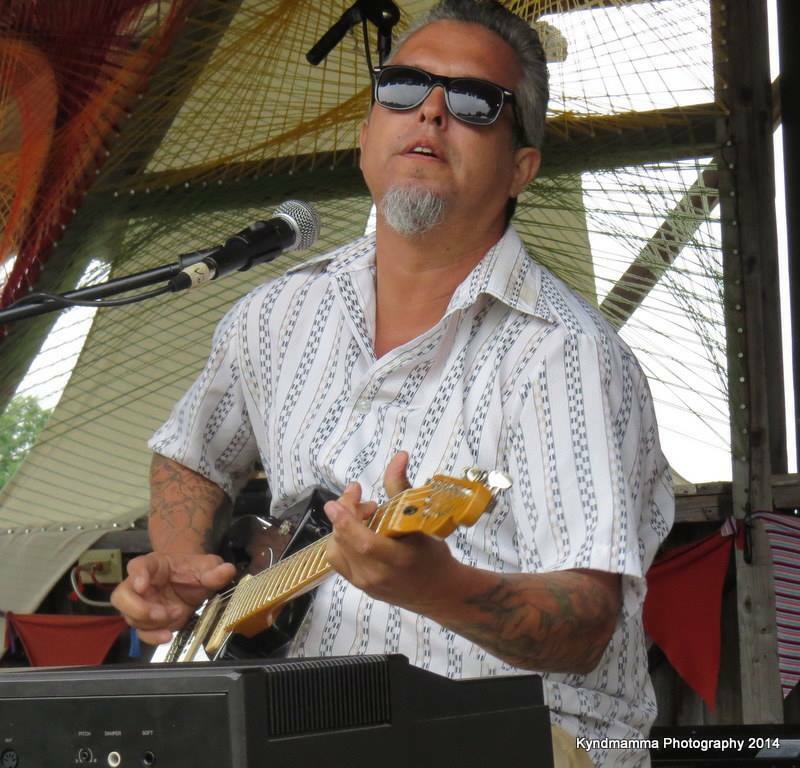 Eric Green Party back @ the tap room Friday, October 3rd! 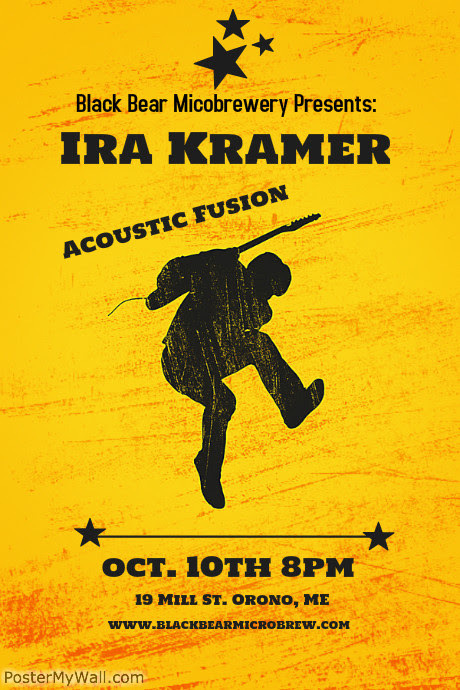 Eric Green live at the tap room Friday, October 3rd 8 - 10pm.